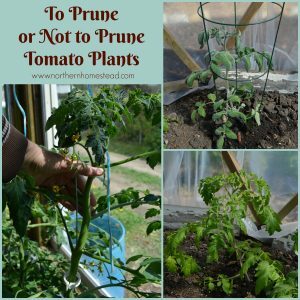 Now that tomatoes are planted and growing, let’s take a look at some of the tomato problems and diseases. 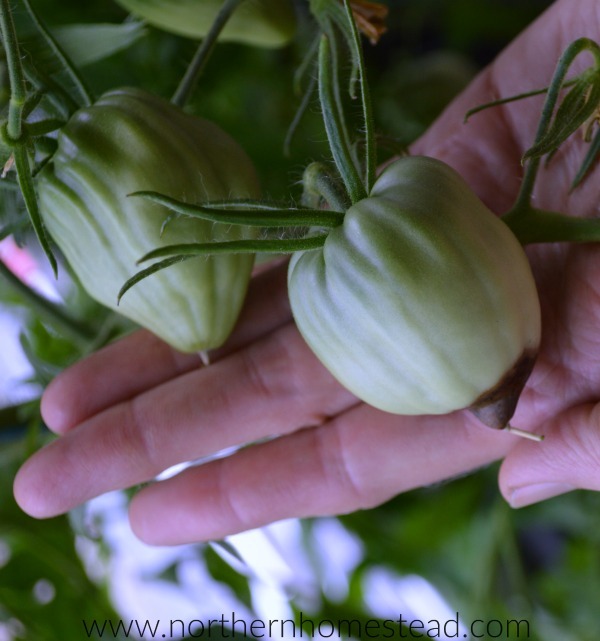 Tomato blossom end rot is a physiological condition, not a disease. It is not contagious and the tomato is actually still edible. Simply put, blossom end rot is a lack of calcium. Vegetables need calcium for healthy development. 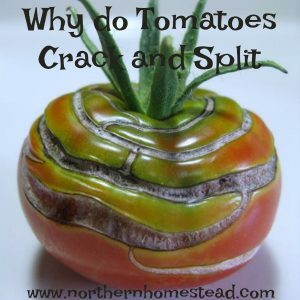 When tomatoes, peppers, melons, and eggplants can’t get enough from the soil, the end of the fruit starts to break down. If you google causes for it you will end up with the same explanations all over. Personally I do not know what causes it. It may be that the soil lacks calcium, or the pH of the soil (or mineral solution in hydroponics) is too low so that calcium is not available for the plant. Also, drought or moisture, heat, and cold stress can reduce its uptake into the plant. 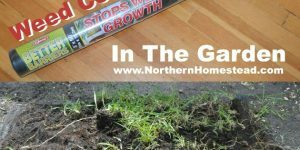 Another reason is too much fertilizer that causes the plant to grow so fast that the calcium can’t move into the plant quickly enough. Or the roots have been damaged, and the plant is struggling because of it. As a gardener it is hard to know which one of the reasons apply to your garden. 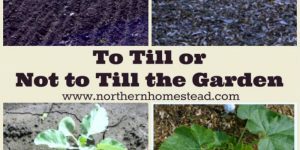 Does the soil need more calcium, or has it already had to much fertilizer? We do get blossom end rot on our tomatoes growing in the garage greenhouse. Not a whole lot, but enough to be aware of the problem. Interestingly enough we had the same problem growing tomatoes in grow bags, in hydroponics, and now in the wicking bed. 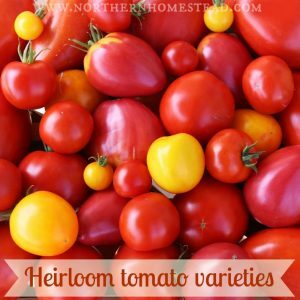 Always the heirloom, bigger tomato varieties will get it, like Brandy Wine, Anna Russian, and this year Bulls Heart. Our cherry tomatoes have not had blossom end rot. 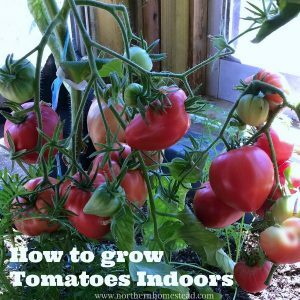 Even if all of the plants grow in the same conditions, soil, or solution, not all plants have blossom end rot, and not even all tomatoes on the same plant show the problem. Here is a cluster of tomatoes, one has blossom end rot and the other one does not. This rather random experience does make me question what is commonly known about tomato blossom end rot. It makes me wonder if the problem isn’t in the plant itself. Maybe it’s an unhealthy start, or roots that have not developed properly. When we first had blossom end rot I went to the store to look for a solution for it. 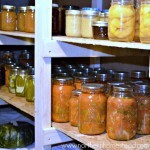 A local organic farmer happened to be there and hear about what I was looking for. He recommended Bone meal fertilizer, which is a good fertilizer for so many things. We also use worm castings and Epsom salt. Overall though, we just try to keep the plants healthy and happy and the soil as healthy as is possible in an indoor environment. As I mentioned above, we do not have this problem in the outside garden. 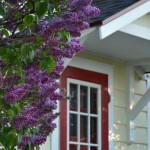 If you do have blossom end rot in your garden, make sure to improve the soil of your garden with natural materials like compost, manure, and worm castings. Also using mulch to even out the moisture is a good idea. After all, you can’t control the outdoor environment. Remember healthy soil gives you healthy plants. 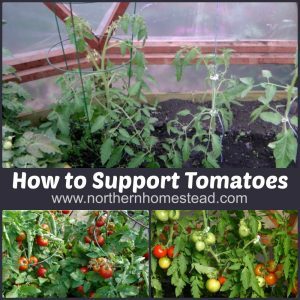 Also try to grow tomato plants that are as healthy as possible. 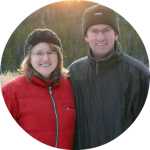 We share a whole lot of information from start to finish. 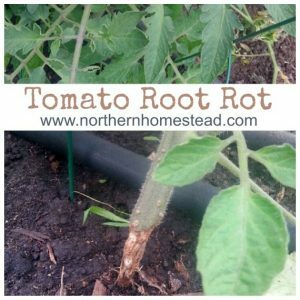 And if you still get a tomato blossom end rot problem, Rot-stop might help you. 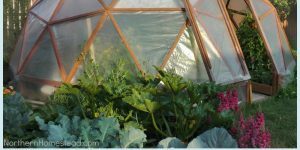 My Oregon/Washington Master Gardener Handbook talks about everything you posted but it also includes establishing more air flow to the plants. While I do not raise tomatoes (yet) I do raise different squash and have noticed this happening on the “first fruits” that are closer to the main stalk and are more shaded and especially those closer to the ground that wick-up moisture. 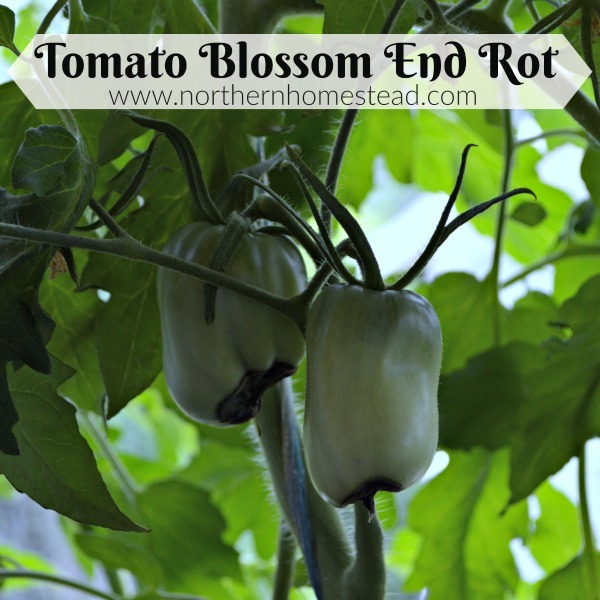 As the plants grow outward and get more sun exposure the blossom end rot stops occurring. I’m thinking better air flow, sun exposure , dry soil surface. I keep these sensitive types that dislike moisture on their leaves to growing “mounds” and only water early morning to give soil surface time to dry during the day. Thank you for sharing. 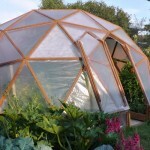 I was thinking that location could also play a rule, since we always get it more in the back of the greenhouse where there isn’t as much air circulation. That makes a lot of sense. 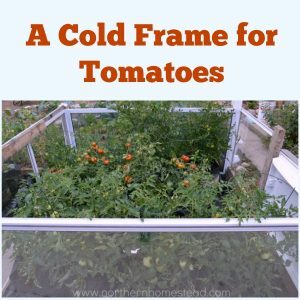 I have several 4′ x 8′ raised beds. Last year one was full of tomatoes and basil. When I noticed the blossom rot, I quickly started saving washed out egg shells, crushing them after they were dry, and putting them on the garden. That was the end of the blossom rot. 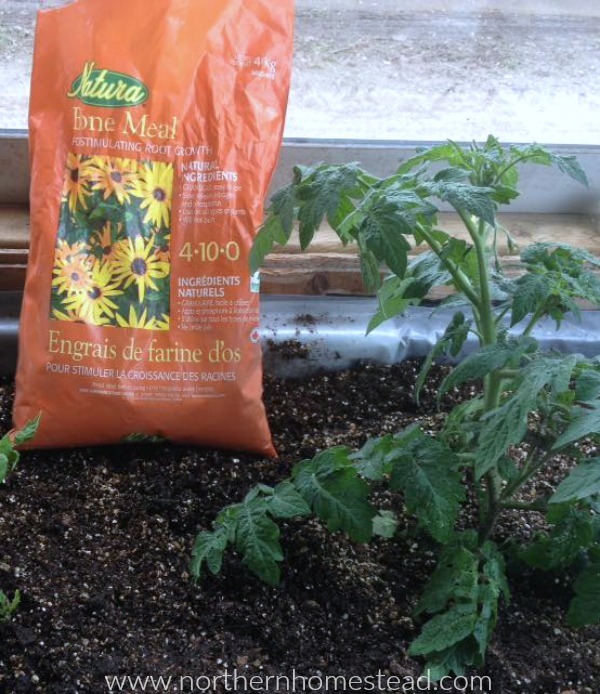 This year, of course, I am putting my tomatoes in a different bed (Ontario, Canada… still planting) and a month before I started planting, I put a good healthy dose of crushed eggshells mixed into the earth. I am hopeful that I will not see any signs of it this year. It looks like your problem was not enough calcium in soil. Egg shells are full of calcium. That is a great tip, thank you for sharing! Hope your tomatoes grow healthy and strong this year. You can purchase 50 lb bags of crushed oyster shells if your soil needs calcium. It’s only about $10.00 a bag. 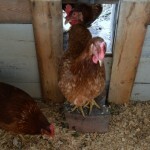 Chicken farmers feed it to their chickens to make their shells harder. Check out “Rural King” Oyster Shells. It’s also used on Bocce Courts for Bocce Ball playing. We do have oyster shells for the chickens, I was wondering if those would be any good for the garden too. Thanks for the tip! 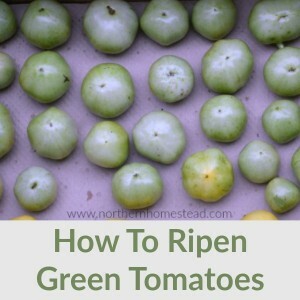 I had blossom end rot my first year growing tomatoes many years ago. 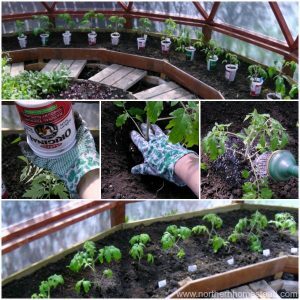 I did some research and began adding two things to the soil when planting tomatoes that stopped it completely. The first is a little dolomite lime to raise the ph so the plants can use the calcium. 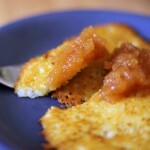 The second thing I add is a small Tums to each hole as I plant them into the garden. Tums are a quick and easily absorbed source of instant calcium. I never had BER again. Dolomite lime is a much safer source of lime in the soil than wood ash or straight lime. I would be very careful adding either of those directly to a garden. Dolomite seems expensive but my small box lasted me for four years, using just a light sprinkle dug in around the tomatoes in a very large garden. 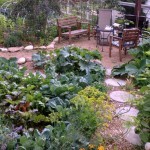 Dolomite lime has a calcium to magnesium ratio of 2:1, that is to high for most gardens. Exsept of course if you have a real magnesium deficiency. Calcium carbonate (calcitic lime) is generally better, because it has a small amount of magnesium and often a calcium to magnesium ratio of about 6:1. Maybe the Dolomite lime in combination with Tums has given you such good results. Dolomite lime has a calcium to magnesium ratio of 2:1, that is to high for most gardens. Except of course if you have a real magnesium deficiency. Calcium carbonate (calcitic lime) is generally better, because it has a small amount of magnesium and often a calcium to magnesium ratio of about 6:1. Maybe the Dolomite lime in combination with Tums has given you such good results. 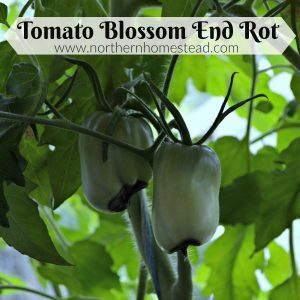 Blossom end rot is due to a lack of water which prevents the roots getting any calcium as calcium in the form the plant uses,in the soil,is only available to the plant in a solution. too small a pot can prevent calcium getting to the plant also,through not enough root space. thats why big tomatos like beef toms get it and cherry types dont. increase watering volume and frequency and blossom end rot does not make an apperance. hope this helps. I wish it would be as simple as you describe it. But no, there are more reasons for blossom end rot than watering. It also can occur on all tomatoes, just some are not getting it as easy.